Dalhousie had a big night at the 14th annual Discovery Awards on Thursday evening. The Discovery Awards, hosted by Halifax’s Discovery Centre, are an annual event that recognizes talented individuals and outstanding companies for their national and international work in the science and technology fields. Before a capacity crowd at the Halifax Marriott Harbourfront Hotel, the evening celebrated innovative and groundbreaking research happening right here in Nova Scotia. By the end of the event, Dalhousie researchers from the Faculties of Science and Medicine walked away with awards in three of the four major categories. James Robar, a professor in Dal’s Faculty of Medicine, was the winner of this year’s Professional of Distinction Award. Dr. Robar’s career has been devoted to helping improve the lives of cancer patients who receive radiation therapy. His research and development efforts have led to more than 80 publications, 10 patent applications, and two spin-off companies. 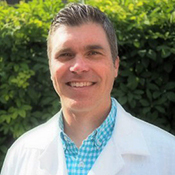 He has a passion for translating his fundamental work into practical solutions that can be — and are — used in the clinic. He is also director of Dal's Medical Physics programs. 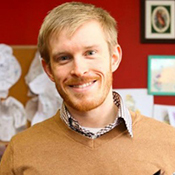 A PhD graduate from the Department of Pathology and now first-year Medicine student, Alec Falkenham hit the headlines after he came up with a new tattoo removal technology. The story went global and generated hundreds of inquiries, indicating he had hit a sweet spot in public need. Dr. Falkenham’s tattoo removal technology (the rights to which were acquired by Cipher Pharmaceuticals in May 2016) speeds up the body’s natural process that causes ink to fade. It does this by targeting white blood cells called macrophages, which remove foreign material from the body. What his team did was develop a cream carrying a lipid-vesicle, or liposome. When the cream is applied to a tattoo, ink-containing macrophages die off and new macrophages enter the skin. Some of the new macrophages depart for the lymph nodes with a cargo of ink, thus fading the tattoo. Dr. Falkenham is also an up-and-coming name in cardiovascular research. As a graduate student, he presented nationally on how the immune system heals the heart and has been awarded multiple provincial and national scholarships. Boris Worm has long felt compelled to share knowledge on the state of our global ocean. Dr. Worm, a professor in the Department of Biology, is fast-becoming a household name. Between publishing his headline-making research on marine biodiversity and conservation, Dr. Worm is the “Oceans Guy” for CBC Radio 1, covering ocean issues every second Tuesday afternoon in his own radio column. The marine biologist’s passionate voice has been captured in documentaries like Sharkwater, Racing Extinction and Bluefin. Dr. Worm took home the Science Champion Discovery Award, and during his acceptance remarks spoke of how he started out as a basic scientist, and through his work, learned how much trouble the oceans were in. Now, Dr. Worm is taking science education and outreach to a new level with Ocean School, a groundbreaking new educational initiative done in partnership with the Ocean Frontier Institute and the National Film Board. Ocean School will bring ocean education for 11-15 year olds into classrooms using cutting-edge technologies, powerful storytelling techniques and audiovisual teaching platforms. The Ocean School pilot project will launch early next year in some grade seven classes in Nova Scotia. Jeff Dahn, NSERC/Tesla Canada Inc. Industrial Research Chair, Canada Research Chair in Materials for Advanced Batteries and Professor of Physics and Chemistry at Dal, was inducted into the Discovery Awards’ Science Hall of Fame. 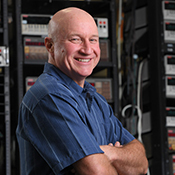 Dr. Dahn was recognized for his front-line battery research as well as his contribution to teaching. A pioneering developer of the lithium-ion battery, his research has led to cells being produced in a more cost effective manner. His material combination is now used in batteries to power everything from electric cars to smart-grid power-storage devices that could eventually support the widespread use of renewable energy. “I’m very honoured to be inducted into the Discovery Centre Hall of Fame for work done by my research team over the last 35 years,” said Dr. Dahn. This is not the first time Dr. Dahn’s work has been honoured. He was elected as a fellow of the Royal Society of Canada in 2001 and has won more than 20 major awards since he began with work with lithium batteries in 1978, most recently the augural Governor General’s Innovation Award. Dr. Dahn was inducted alongside the late Dr. Henry Marshall Tory, a leader in establishing world-renowned universities and research labs across Canada. Dalhousie has had more than a dozen inductees to the Hall of Fame since it was created in 2002, most recently Chemist Axel Becke, Microbiologist Leo Vining, Neurologist Jock Murray and Engineer George Meyerhof. 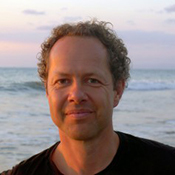 Fred Whoriskey is executive director of the Ocean Tracking Network. His research focuses on fish biology and ecology, and the impacts of exotic species on native ecosystems. He has been heavily involved in public policy issues, especially with environmental impact assessments, and has worked extensively in public education. He received a Gulf of Maine Visionary Award in 2008. Brett Dickey is a recent PhD graduate from the School of Biomedical Engineering and the co-founder and chief technical officer for Covina Biomedical Incorporated. Dr. Dickey is developing an injectable glass-based cement to stabilize broken bones. This discovery has potential to impact a wide range of clinical needs, from use in third-world dental clinics, to material used in total joint replacement. Devin Horsman was an undergraduate and graduate student in Dal’s Computer Science program, and is currently the technical director for Twisted Oak, a worker-owned co-operative offering technical services and consulting in the areas of game development, security and augmented and virtual reality. He has been involved in over 45 projects spanning a range of applications including VR technology, 3D rendering technology, camera capture systems, motion control technology, and digital music effects. Chris Burns is a recent graduate of Dalhousie and the CEO of Novonix, a spin-off of Jeff Dahn’s lab. Novonix’s ultra-high precision charger system enables accurate and precise measurements of a Lithium-ion battery’s efficiency, which can be used to estimate their lifetime on the scale of decades. The company has sold equipment to key battery companies all over the world with customers in more than ten countries. Jordan Kyriakidis is the CEO and president of Quantum Research Analytics and an associate professor in Dal’s Department of Physics and Atmospheric Science. His company is focused on solving one of the greatest hurdles for innovation: verification of complex systems. QRA’s main product is called QVTrace, an advanced platform that discovers design faults in complex, embedded systems. Within the past year, QRA has celebrated multi-million dollar partnerships with Lockheed Martin, Innovacorp, and Dalhousie University, and received 2.9-million-dollars of funding under the Atlantic Innovation Fund. Dalhousie's Faculties of Science and Medicine also sponsored the Youth Award, which was presented to King's-Edgehill Grade 10 student Sophie Fraser. Read all about the Discovery Award winners and finalists at the Discovery Centre’s website.